It has been growing colder and colder, and the lowering temperatures have accompanied lower activity levels. Despite our new memberships at Planet Fitness, we have been finding it harder and harder to stay as active as we need to. We have teetered upon the edge, ever so close to throwing ourselves into the abyss of couch-dwelling until the Spring thaw arrives. Last Friday, Lor decided to fight back. 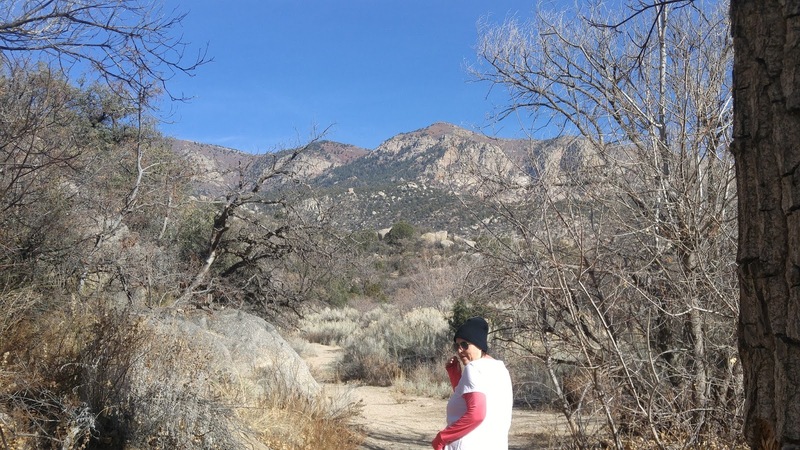 Rather than head to the gym for an hour or two on the elliptical, she decided it was time to head out into the wilderness again. I took a look at the temperature (42 degrees), then took a look at the determined expression on Lor’s face. I wisely chose to keep my own counsel, and just wore a couple of extra layers of clothing. As you may remember, my pre-surgery “before” picture was taken on an expedition like this one, back in April. Lor had intended for us to get out into the Sandia Mountains regularly after that hike, but, somehow, the idea never really took hold, and we have been back only once or twice since then. Wearing multiple layers of clothing (even Vixen got a sweater) we drove up to the trailhead and prepared to head into the mountains. 10 minutes later, Lor and I had removed our jackets and taken off Vixen’s sweater. Walking uphill over New Mexico sand is a wonderful generator of thermal energy, it turns out. 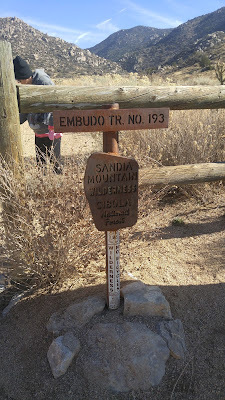 About half a mile up the service road, we came across the trailhead Lor wanted to try today, the Embudo Trail. Yes, that is a wall across the trail. I discretely checked my phone. We had come just over a mile to get here. Getting back down to the car would result in a round trip of 2 miles. This was a good day’s work for us by any measure. I comfortably waited for Lor to announce that we would head back down. I had forgotten who I am married to. 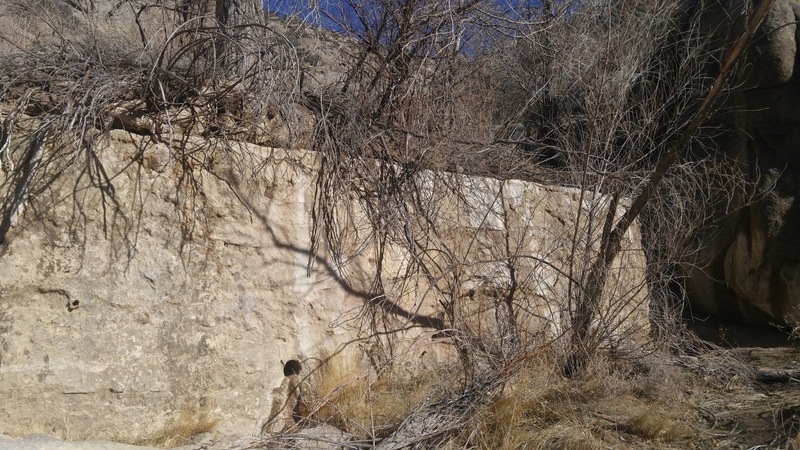 Without hesitation, Lor announced we were going over the wall. The next 45 minutes involved us heading further and further up into the Sandias, scrabbling over rockfalls and peering into caves. It became a team-building exercise of sorts, because Vixen was too short to climb many of these obstacles. One of us would climb halfway up, then the lower person would hand the dog up, and climb to the next position, repeating the process. Halfway through one of these dog transfers, I found myself being grateful that I did not own a Labrador or a Newfoundland. …and I just knew that Lor was going to make me climb all the way to the top of the peak ahead of us. However, sanity prevailed. It is December, after all, and we were already an hour up into the mountains. It was time to turn back and head down to the car before the sun dropped any lower in the sky. 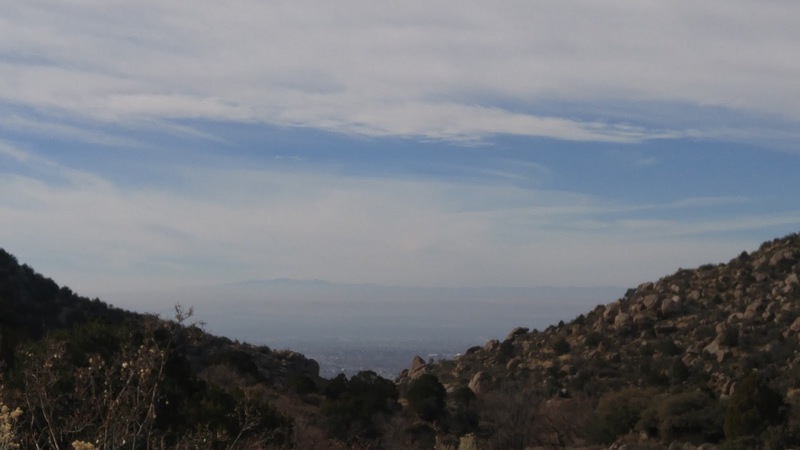 The peak in the distance is Mount Taylor, over 100 miles away. I dutifully recorded it, and we headed back down to the relative warmth of the car. We managed 3.2 miles in just over 2 hours. Given my performance back in April (one mile in 52 minutes), I have to admit it feels pretty good – a real Non-Scale Victory, if you will. We honestly could have kept going, if not for the fear of being trapped in mountains overnight and freezing to death. 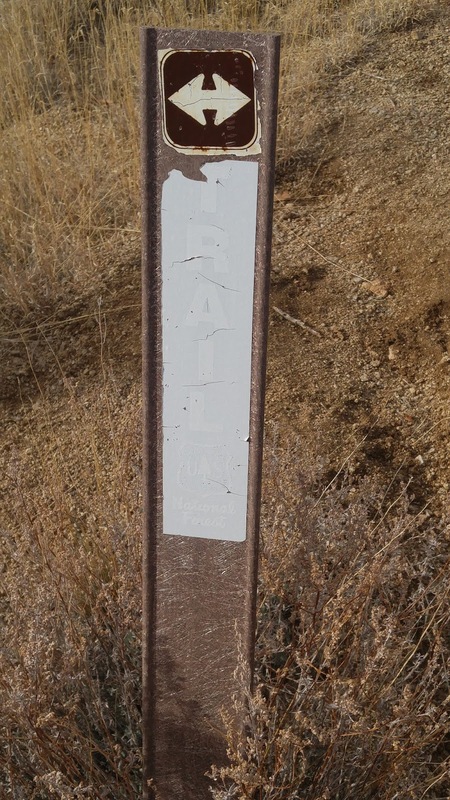 Oh, and the trail we followed? Turns out if we had kept going we would have run into another trail that heads North and South through the mountains, which would have eventually dumped us out near I-40, about 6 miles from our car. Next PostNext Real Life Takes Over Misdirected!